What is cashback and how does it work? When you open a broker account using our links, for that account your broker pays part of their spread or commission to us. Then, we share most of this revenue with you, paying cash for every transaction you make. And the best part is that your trading conditions remain the exact same as if you had opened an account directly with the broker. The only difference is that you earn extra cash on your trades. Why you should use cashback? Many professionals use cashback services to boost their profit. 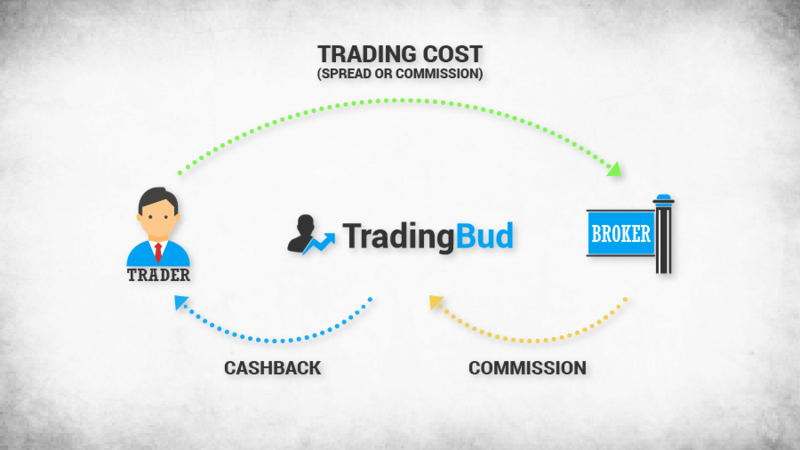 Unfortunately, there are still many traders out there who basically lose money just because they sign up to brokers directly and do not receive cashback. Just think about it! Why would you trade EUR/USD with a spread of 1.2 if you can achieve 0.595 effective spread with cashback, saving 6.05 USD on every lot traded? These amounts add up and save you several thousands of dollars in the long term. Using cashback can be the key to become a successful trader. It’s absolutely free to use. You never deposit, you only get money from us. Since we earn commissions after our clients’ trades, it is our interest to make our clients successful. You are rewarded every time you make a trade. No matter if you win or lose! Even if you are having a losing or a break-even month, cashback can make it a winning one. There is a way to get cashback on your existing broker accounts as well. We offer referral system, so you can make extra money introducing your friends. To check out how much cashback you can earn at each of our our partner brokers, please click here. © 2015 - 2018 TradingBud Ltd. All rights reserved.